Computer science is relatively a new discipline, insufficiently covered with qualified staff at all levels. Computer experts are in huge demand in our country and worldwide. Currently, not many students of computer sciencefinish studies because while studying they accept lucrative job offers. On the other hand, computer departments and faculties cannot admit large number of students, because continuous work in laboratories is required for every course from the first semester, so in better equipped institutions the number of students per year is practically limited to about a hundred. Therefore, Serbia needs more faculties of computer science. Megatrend University with its excellent, probably, the best spatial and technical capacities, alongside top professors, naturally fills this gap. 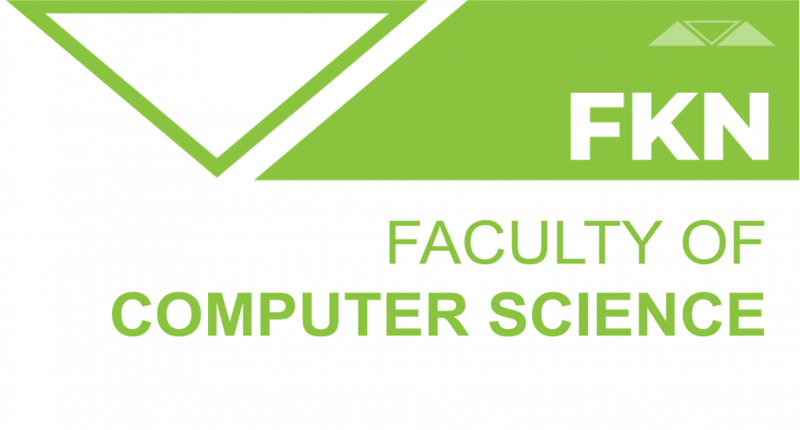 A more important fact is that Faculty of Computer Science with its ambitious curriculum of pure computing has been established without compromise to other fields. In the world, awhile ago, computer science became completely independent discipline, without too big orientation towards other disciplines (mathematics, electrical engineering, mechanical engineering, organizational sciences, etc. ), that may make studies more difficult. 75 students can be admitted at undergraduate academic studies. All the applicants with high school diploma (either fourth or third level of education) are entitled to enrollment in the first year of studies. Why Faculty of Computer Science? Faculty of Computer Science applies contemporary methods in teaching that are proven and used nowadays in developed world. It covers and overcomes everything that is being much discussed today and slowly introduced in higher education: one-semester courses, credit systems, permanent work and pre-exam assignments, small groups, quality programs and professors, continuous keeping up with the development in the field, etc. Among the teaching staff of this faculty there are also well-known longtime university professors and scientists with huge international experience. The main objectives of this study program, since it is an undergraduate study program, is to provide computer scientists with solid practical knowledge, directly applicable in various workplaces nowadays, but also with a complete theoretical foundation and flexibility for continuing education. After completing the study program, graduates acquire the title: Bachelor in Informatics. The purpose of the study program Computer Science at Faculty of Computer Science (published on the website of the Faculty) is the education of competent experts of the advanced level for a variety of occupations in the field of computer science that are in demand in the market, domestic and international. These occupations include different programmers, who can work in different environments and with different tools. After completing the study program, you acquire the title: Master in Informatics. The main objective of the study program, given that it is on doctoral studies, is education of experts of the highest level, by world standards, capable of independent scientific research and the most responsible jobs in the industry. Scientific degree: Doctor of Science- Computer Science.